To be frank, I have been less than impressed with the majority of the concerts I've attended at Orchestra Hall to begin 2014. As the weather has heated up, the performances themselves have been a touch lukewarm. This is not an opinion shared by all of Detroit's critics, who have written glowing reviews in our local papers. There are indeed many things to be proud of here, but this concert encapsulates the various musical and artistic issues on display currently. The program began colorfully with Bright Sheng's Zodiac Tales, a concerto for orchestra in all but name. Born in China, Sheng is currently a composer-in-residence at the University of Michigan. His music draws heavily on Chinese influences, and is colorful and well…bright. Receiving its world première, Zodiac Tales is a virtuoso tour-de-force that deserves repeated hearings. From the outrageously bombastic open and close, to the Stravinsky-esque wind writing in between, there was much to savor. But the second movement was inexplicably omitted, and at times the orchestral contributions seemed a touch crude. Like all new music, the reaction from the crowd was a mix of appreciation and puzzlement. The Ravel Concerto was next. 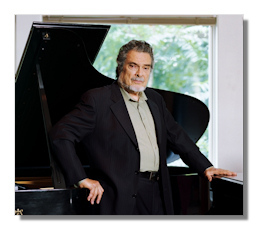 Leon Fleisher, at 85, still commands awe and respect as much for his skill as for his unusual and fruitful career. Although he is now back to two-hand playing after some health issues nearly destroyed his career, his late peak was spent playing left-handed repertoire. The Ravel is a piece that clearly means a great deal to the artist, and there were utterly breathtaking moments. The Detroit Symphony under Slatkin impressed less; there were moments where the aging pianist was drowned in orchestral sound, and subtle disagreements on tempo further complicated matters. For his part, Fleisher whiffed on the opening sections but bore down for some fine playing later. As great as he remains as a teacher and mentor to young pianists, his solo work is at this point rather variable; still very fine, but just not reaching excellence. No excuses need be made for the Shostakovich that closed the evening. For the first time in weeks, the Detroit forces created a genuine sound suitable to the music of the composer. There was a welcome ferocity in the playing that had been noticeably absent at recent concerts, and a willingness to grind out the angst and emotion in this music. Slatkin has been preoccupied by personal issues in recent weeks, not to mention extensive and exhausting travel. A piece like this is a great way to vent, and this angry blistering performance seemed to cure some ills. There were still some troubling matters of ensemble balance, but overall the results were of a superior nature. Overall, a successful evening…but is that really all we want?